​Give your flight the perfect kick-start it needs, or end it in complete luxury and comfort. It is quite a drive from Mandurah to Perth Airport. Forget jamming all of your things into the trunk and back seats turning your vehicle into a clown car. To then sluggishly drive the several hour journey to the airport, having to park your vehicle up, unpack all of your things and drag them into the terminal. Then you wave goodbye to your car knowing you get to repeat the process when you return. 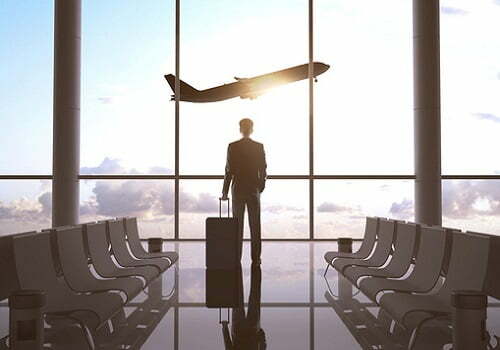 We offer a complete airport transfer service that will have you and your luggage to or from the airport without having to raise a finger. Neat huh? Whether it is for business or pleasure, guarantee this transportation is pure pleasure, and there is much more leg room than aeroplanes. – An exciting and effective transport method. – Amazing your friends/family or business clients. Consider Mandurah Limousines the business class standard of the transport world. Remove any stress out of your travels and trust on the experts at Mandurah Limousines to take all of the hard work out of your hands. Fill out the form or call us on 08 9468 7277 to find just how simple, stress-free and satisfying limo hire with Mandurah Limousines is.